An official of the MET Department said the weather would remain generally cloudy during the next 24 hours. 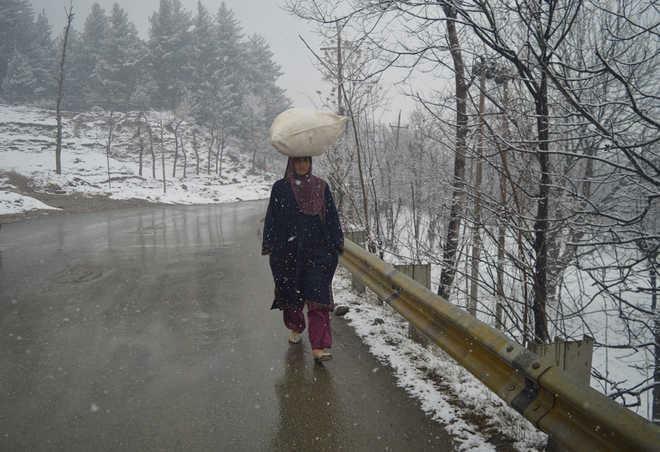 The valley is presently witnessing the 40-day long period of harsh winter cold called the 'Chillai Kalan', which started on December 21 and is likely to end on January 30. The minimum temperature was minus 5.8 degrees Celsius in Srinagar on Monday while in Pahalgam and Gulmargm it was minus 12.3 and minus 10.0, respectively. Leh town recorded minus 17.5 degrees Celsius while Kargil had minus 19.2 as the night's lowest temperature. Jammu city recorded 3.5 degrees Celsius, Katra 5.3, Batote 1.5, Bannihal 3.2 and Bhaderwah minus 1.8 as the minimum temperatures.